Tokyo--Why insert a membrane into a battery when you can just spray the bugger on? That's the business model for Porous Power. The Colorado-based company has come up with a way to coat electrodes for lithium ion batteries with a separator, a crucial component in batteries. Now, battery makers insert a film into the battery which gets rolled up like a Ho-Ho to keep various elements in contact with each other but apart. Spraying on the separator reduces manufacturing costs, said CEO Tim Feaver at the Cleantech Open Innovation Summit sponsored by JAIC America in Tokyo this week. (JAIC America is a division of Japan Asia Investment Co. and specializes in cross-border investments). But there's more. Spraying on the separator eliminates the need to roll up the battery. (Both cylindrical batteries and prismatic batteries-which is sort of a cylindrical battery with corners-- require some level of rolling up the separator). This changes the structural possibilities for batteries. 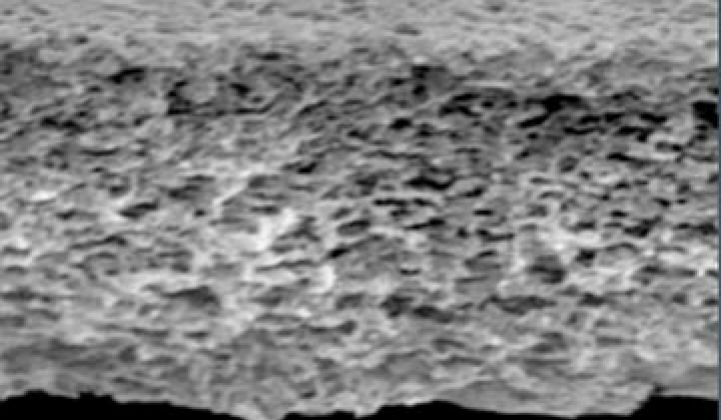 With the Symmetrix material from Porous, battery makers can more easily make flat batteries and stack up battery layers like pancakes. In turn, this increases the volume of battery materials a car maker can put into a finite space and therefore increase the range of the car. Nissan and NEC have created flat batteries for the upcoming Leaf but most battery makers produce cylindrical cells. Symmetrix also leads to a battery that generates less heat, can endure 25 percent more charge cycles, and provide more high-power capacity, according to Feaver. The Porous in the company's name refers to the flow of materials the spray-on separator allows. "It generates less resistance and heat and that makes the entire battery work better," he said, who added that $5 billion will be spent in the U.S. alone to expand lithium ion battery production. Porous is working with Neptco to test and produce the material and it is in discussions or partnerships with a number of battery and car makers, he said. The names A123 Systems, Bright Automotive and Dow came up. "EVs will be a much bigger than the market for consumer electronics," he added. Other companies have developed spray-on separators, but generally they have been expensive, he asserted. Conventional rolled separators cost $2 per square meter and can take up 25 percent of the manufacturing cost of a cell. Symmetrix costs less than $1 per square meter, he asserted. Risks, of course, abound. Imara had a novel cathode for lithium ion batteries. (Imara made batteries, but eventually figured it would become a component supplier.) Despite millions in VC funds, the company recently closed its doors. Porous' patents are also pending. Porous has raised $3.5 million so far and currently hopes to raise $2 million. It will make the material and eventually likely license it to manufacturers.